What Microsoft wanted with Hailstorm was less “social” than personal. (“Social” in 2001 was years away from getting buzzy.) What Google wants with Google+ is very personal, or Google wouldn’t be so picky about the “real names” thing. One difference from Hailstorm is that Google isn’t playing all its cards yet. Microsoft laid all theirs on the table with Hailstorm, and its identity service, Passport. What they wanted was to be the iDP, or IDentity Provider, for everybody. Is that what Google has in mind too? In 2005 John Battelle said Google was “angling to become the de facto marketplace for global commerce.” That might be a stretch, but it’s the vector that counts here, and Google+ points in that direction. Google has many services, none of which are truly “finished,” and some of which are just getting started. On the finished end of that spectrum is Google Checkout. At just-started end is Google+. 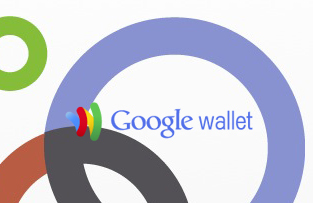 Not out yet but announced is Google Wallet. What matters is that they can all both iterate and connect. Google makes most of its money from advertising. That’s different than being an “advertising company.” Google was launched as a search company, and found a way to make money through advertising. They surely wish to diversify their income streams. One way is to support actual commercial activities, at the point of engagement between buyer and seller: to support the Intention Economy that starts with buyer volition, and not just the Attention Economy of which advertising is a part. In other words, to work where the demand chain meets the supply chain. The first source of revenue in markets is customers: ones that have real names on their drivers licenses and credit cards. Pseudonyms, handles and nicknames — such as IdentityWoman, @Skud, FactoryJoe and Doc — might appear on business cards, but not on the bank- or government-issued plastic cards in those folks’ wallets. Facebook Connect lacks infrastructural legs that Google can put under the market’s table — legs like Google Checkout, Android and Google Wallet, as well as Google’s own physical network, back-end processing power and engineering knowhow, spread across many more business and technical disciplines than Facebook can pull together. Reason #9: Now you can actually relate. When a customer has the ability to shop as well as to buy, right in his or her wallet — and to put shopping in the context of the rest of his or her life, which includes far more than shopping alone — retailers can discover advantages other than discounts, coupons and other gimmicks. Maybe you’ll buy from Store B because you like the people there better, because they’re more helpful in general, because they took your advice about something, or because they help your kid’s school. Many more factors can come into play. Such as when your circles intersect. Pause now to think about supply and demand. Most of Google’s commercial work so far has been on the market’s supply side, especially with advertising. (Nearly all their customers are sellers, not buyers.) Google Wallet, however, works on the demand side, because it goes on your phone, which lives in your pocket or your purse. Your electronic wallet is the point of contact between your demand chain and the sellers’ supply chain. With electronic wallets, we get many new ways for these two to dance. And, therefore, many more commercial opportunities. Wallets are also instruments of independence. (As are, say, cars.) As the Intention Economy grows (and electronic wallets will help with that), so must the things we as individual customers can do with them — and behind them, back up our demand chain, in our personal data stores. This is where we need to be the point of integration for our own data, which should include data collected by and about us. Don’t think about how and why we should sell our data, especially to marketing’s guesswork mills (of which Google is the largest). Think about what services we might buy, to help us apply intelligence to the use of our data. Think about new and different ways in which we might save and spend our money — ways that have nothing to do with today’s defaulted vendor-run gimmicks (loyalty cards, “sales,” coupons, “rewards”…) meant to trap us, herd us and shake us down for more money. Think about having more control over how, why, and where we spend (or actually save — as in a bank) our money. That’s what we start to see when we think about electronic Wallets beyond the near horizons of point-of-sale connections and better come-ons from sellers. That’s what Google will start to see when they start talking with us, and not just with big companies looking for more and better ways to sell. Earth to Big Boys: We’ll pay for value, including services that make our wallets serve us, and not just the marketing mills of the world. When we have full independence, we will also have the ability to engage as equals in agreements and contracts. The legal dance online will need to resemble the legal dance offline, which is in the background. In the same way that we don’t need to “accept” a written “agreement” to enter and shop at most stores in the physical world, we shouldn’t need to do the same online. We should be able to bring agreeable terms with us, match them with those of sellers, electronically, without the intervention of lawyers or forms to sign, and do business. In other words, freedom of contract needs to obsolete contracts of adhesion, and the calf-cow system of asymmetrical non-relationships we’ve had online since the dawn of the cookie. Listening to Brad Horowitz talk with Tim O’Reilly, I sense that Google is also tired of the old cookie-based paradigm of e-commerce. Helping make the customer independent, starting with his or her own wallet, is a great way to start breaking that paradigm. The problem, as Google is discovering though the “nym wars”, is identity. People take that one personally. To get a better angle on the issue, let’s look more closely at Microsoft’s Hailstorm. Here’s what I wrote about it at the time. Here’s a much longer piece by Clay Shirky, also from back then. Microsoft saw Hailstorm as (among other things) a way to compete with AOL, which was the Facebook of its time. Hailstorm’s main feature was Passport: a then-new single-sign-on authentication service. The idea was to have Passport login buttons appear everywhere, like Facebook buttons do now (though far less securely than Passport, which didn’t spill your social guts by default). Such buttons provided Single Sign-On, or SSO. HailStorm is a group of services, using Microsoft’s Passport authentication technology, meant to provide secure access to e-mail, address lists and other personal data from virtually anywhere via PCs, cell phones and PDAs (personal digital assistants). The catch? Users of the services will be required to pay a fee to use them. Analysts said that if the HailStorm model is widely adopted–and if people will pay a premium for security–the days of ad-subsidized Internet services, such as free e-mail and messaging, may be over. One big difference: Google isn’t looking to make money with fees here. In fact they say clearly that they are not. But Google is looking to make money their old-fashioned way, which is with “second and third order effects” that will manifest in due time. Here’s what’s the same: Passport was an identity service. Which Eric Schmidt says Google+ is now. Microsoft failed because they thought their platform (Window plus .Net) was bigger than the Net and the Web. (In the now-gone Hailstorm white paper, they talked about “moving the Web” in a new direction.) Google knows better. Still, the game is the same. That game is turning users into customers. In competitive terms, Facebook and Google will both have users. But Google will have the customers — even if they’re not customers of Google’s services directly. Google will be helping customers use their wallets, while Facebook will be stuck at SSO. Fourth parties, working on behalf of customers, helping them build out their personal demand chains. These can include any service company an individual employs — that is, pays, to help work with the third and second parties of the world (numbered from the customer perspective). We’re talking here about banks, insurance companies and anything called an agency, plus all the new companies coming into the personal services and personal data store businesses. These might include parties the individual doesn’t pay, but that clearly are in business mainly to help individuals (first parties) rather than second and third parties. That qualifies Google, should they wish to join. There is a lot happening with VRM here that we’re not ready to talk about yet. (No, none of it involves Google Wallet, at least not yet.) But demand chain (Craig Burton‘s term) hints strongly at where we’re going. Thanks, Vaneesa. What I’m trying to do here is get past the Nym Wars and look at a big picture that isn’t painted yet and will likely turn out to be a movie we’ve seen before. I might be wrong, but I don’t think so. What makes you “presume” that Google Wallet will be open-source. Has Google ever open-sourced anything associated with revenue (and no, android isn’t really open)? We have been here before….Hailstorm a big co push to control/own “identity” and therefore e-commerce was greeted mostly with uproar as most saw clearly that this was an effort that would essentially give an unparalleled technical and economic advantage to a company that was seeking to use its OS, Browsers, Mobile Platform, and Productivity apps to become a default technology platform. ….Googles + strategy is no different…..The real danger is that the Google is seen as begin “Open” and about “Freedom” so many will see most things that they do as being for the benefit of the internet and for the community….Google + and FB and Twitter will all want to control identity in the guise of “Openness” and “Freedom”….in reality it is all about the bottom line…..
I’m pretty sure you’re not wrong Doc. After working in the identity space for many years (I’ve keynoted more Digital ID Worlds than I can count and continue to help organize the Internet Identity Workshops), I’ve decided that we cannot possibly solve our identity problems by coming up with more and more ways for servers — and companies with servers — to help us. We need to be in charge of our own identities as sovereign and independent individuals. That means we manage our different identifiers and personas and the permissions around them. And we do this in the context of relationships. Some relationships we have no control over, such as those with government agencies. With commercial relationships, however, we should have much more control, and real means for control. When we engage, it should be in the context of real agreements, of the old-fashioned freedom of contract sort. That is, we don’t click a box that says “I have read and agree to the terms of service.” That’s called a “contract of adhesion,” and is inherently one-sided and onerous. No, instead we have new systems in which both sides agree about what can and can’t be done, and who is responsible for what. These do not need to be complicated. Many, perhaps most, can be done electronically. The model here is the old retail environment we had since the days of Ur. When you walk in a store, you don’t have to register, belong to a loyalty program, or carry a card that gives you “discounts” and “rewards.” You were anonymous by default, and identified by mutual choice. We don’t have that casual ease yet on the Net. Hopefully we will when we finish building out the required VRM tools. You are absolutely correct with the Google Wallet angle. I have been intending the write a blog about this for the past few weeks but I’ve been too depressed to finish it. I should finish it in the next few days, and then I will highlight some very startling points regarding the Google Wallet aspect of NymWars. I will make some powerful connections regarding the actions of Google+, connections of dots which have not yet been fully exposed. Thanks, EmieL, also for reminding me about Qiy. While I appreciate Qiy’s respect for individuals, and their general ambition regarding personal data, it’s not VRM because it’s not fully in the user’s control. Maybe it can be a fourth party. I’m not sure, though. I’d like to talk to them, though. As for big companies, they already are iDPs, out the wazoo. Nym Wars aka Hailstorm Revisited » Who is Hahleq?